The Brothers of Beta Omicron Chapter were paid a visit by National Chaplain Lentini who presented them with a 65th Anniversary Banner. 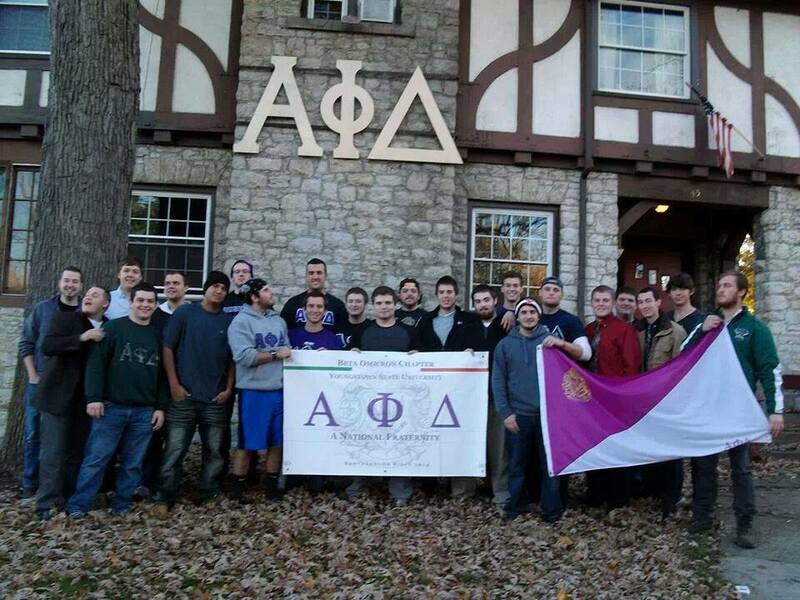 The banner features, grayed in the background, the name of every brother ever initiated into their chapter. Following the presentation of the banner, Past Chapter President Zach Cossask was presented his Past Chapter President's Pin. Following this the Chapter and the National Chaplain enjoyed an Italian Dinner in Youngstown (see picture below). 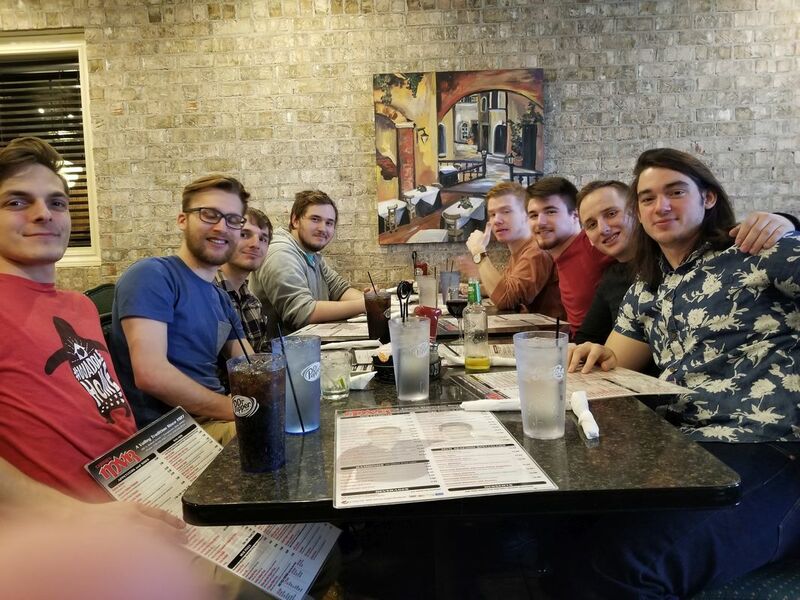 The brothers of Beta Omicron gathering for an Italian meal after the presentation of their banner. 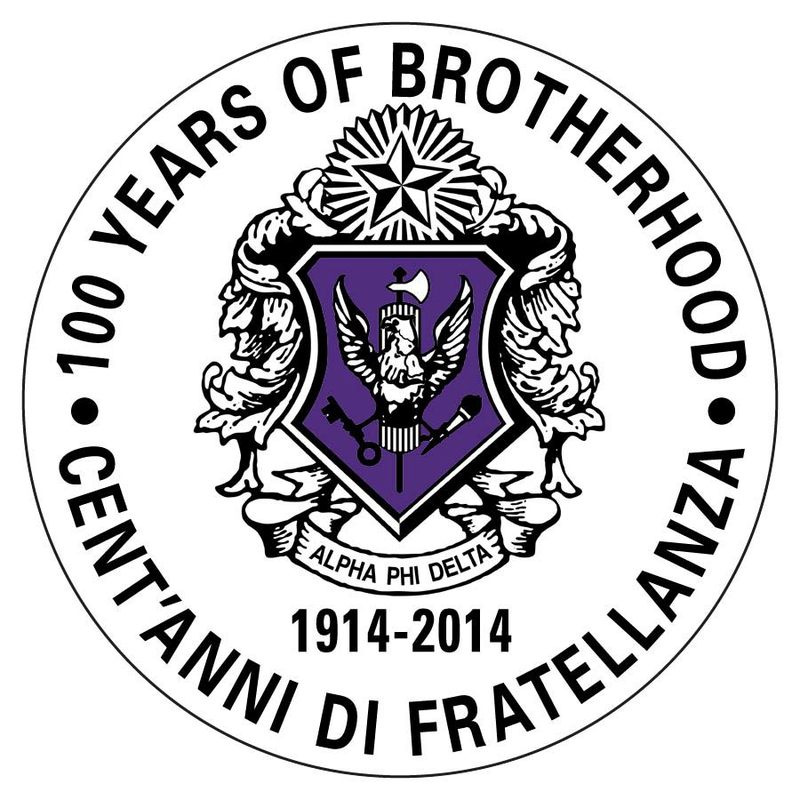 Brother John Gifford of Beta Omicron relayed this article: One of our brothers had a family friend diagnosed with Non-Hodgkin's Lymphoma. 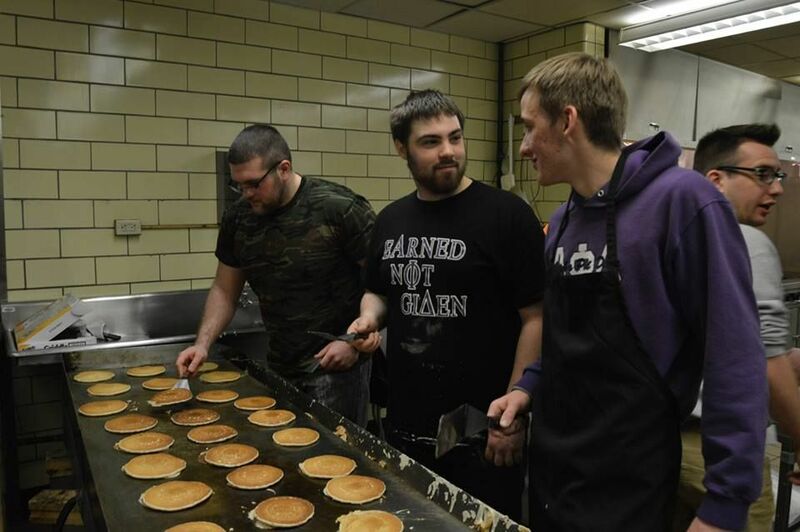 Shortly after his passing, The Daprile family decided to do a pancake breakfast in his honor at Canfield High school on February 1st, 2015 to help raise money for his family in need. Beta Omicron Chapter reached out to various organizations on campus, and received donations from friends, family, and local businesses. 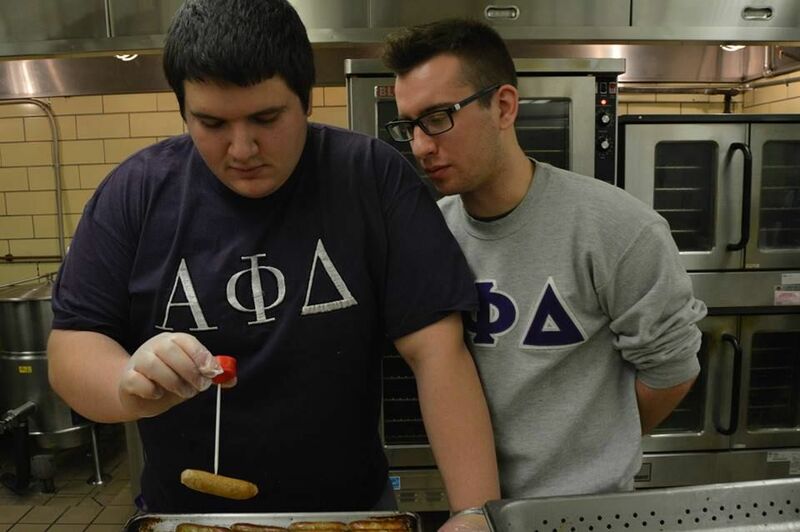 Beta Omicron Chapter, along with other campus organizations showed up to make pancakes and sausage, run the Chinese auction, bus tables, and serve. It was incredible to see all of the fraternities and sororities at YSU come together for someone they did not even know. We had a tremendous turn out with over 500+ people in attendance. This was our biggest philanthropic event ever! Over $23,000 was raised and donated, along with every brother of our chapter working hard from 7 a.m. to 1 p.m. Although, nothing could surpass the feeling of helping out John's family and the people in our community that support us and our chapter. 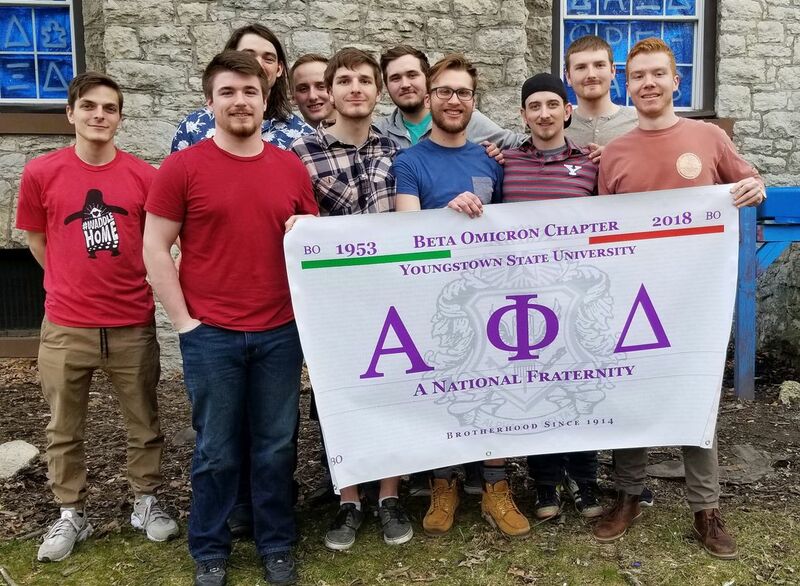 The brothers of Beta Omicron Chapter (Youngstown State University) report that they are continuing to fix up and improve their house. The chapter members are performing such tasks as laying down new hardwood floors in the living room of the house, and are currently in the process of replacing our house's roof. All of the brothers of Beta Omicron take pride in their house; they spend time, energy and money to do what they can to improve their house, and their chapter. 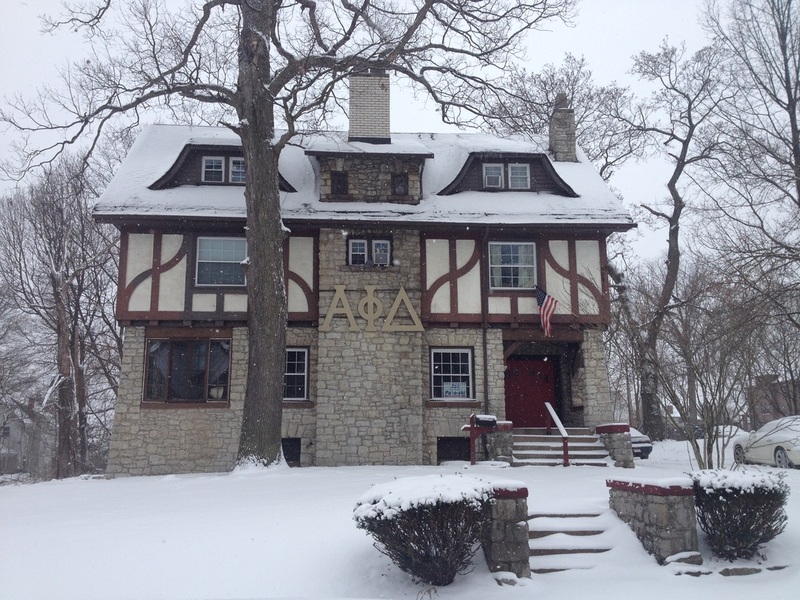 The Beta Omicron House -- many renovations going on courtesy of our chapter brothers at Youngstown. Note: This is a private house and is not owned or maintained by the National Fraternity. Chapter Vice President: James Mayor Jr.
Chapter Pledgemaster: Leo Daprile Jr.
We wish all of our officers and all of the officers in the chapters throughout Alpha Phi Delta Fraternity, especially those in the Midwest District, a very successful year in 2015. Faciamus! 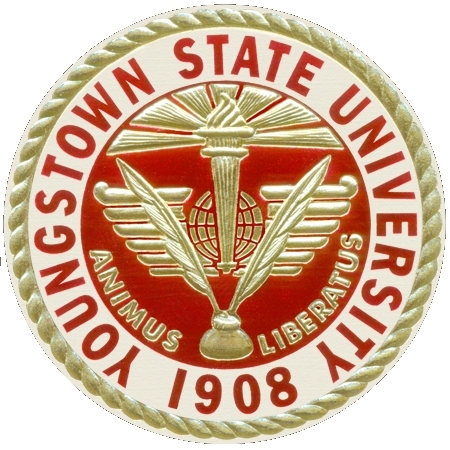 For information about Youngstown State University click here. Joseph Schroeder, is the President of our Beta Omicron Chapter. Alpha Phi Delta Fraternity's National Council has allowed students of Youngstown State University to join our fraternity since March 1, 1953.